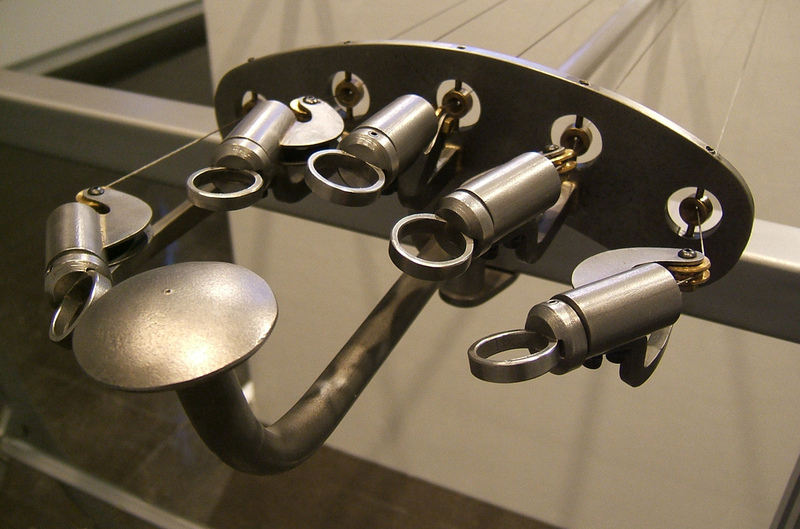 Built between July and December of 2005, this was my first large machine and the beginning of the body of work dealing with the human condition. 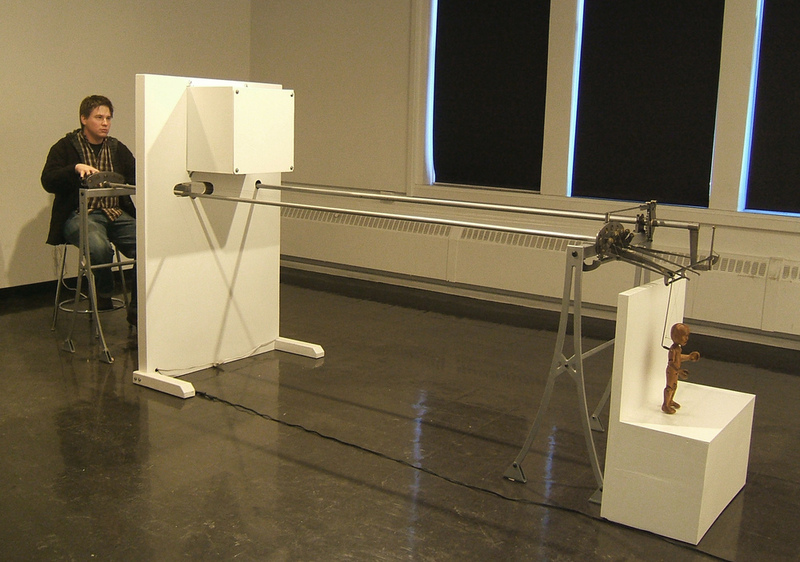 It consists of an operator end, separated from the rest of the machine by a wall containing a video monitor, and a stage end ten feet away where a marionette moves around at the operators leisure. 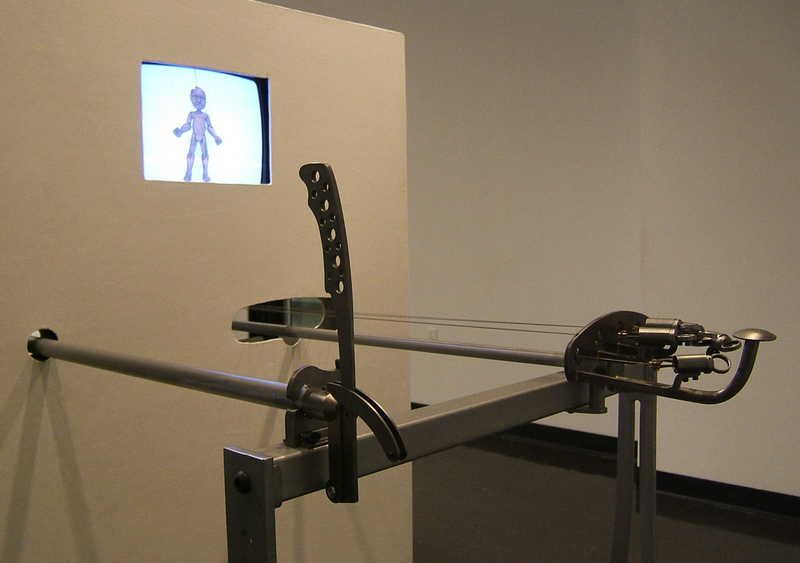 A video camera mounted in front of the marionette relays the image to the operator, but due to the reverasal of the point of view, as well as the inherenet awkwardness of the controls, control of the marionette is clumsy and challenging. I saw this as an exaggeration of our everyday condition, and continue to be amazed at how well we deal with our own inelegance.